In or out of the studio, that cat is WAY OUT daddio! 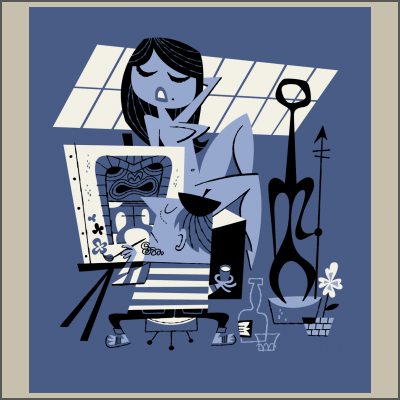 Must be Tiki on the Brain by our very own Derek Yaniger inspired by the original painting of the same name! 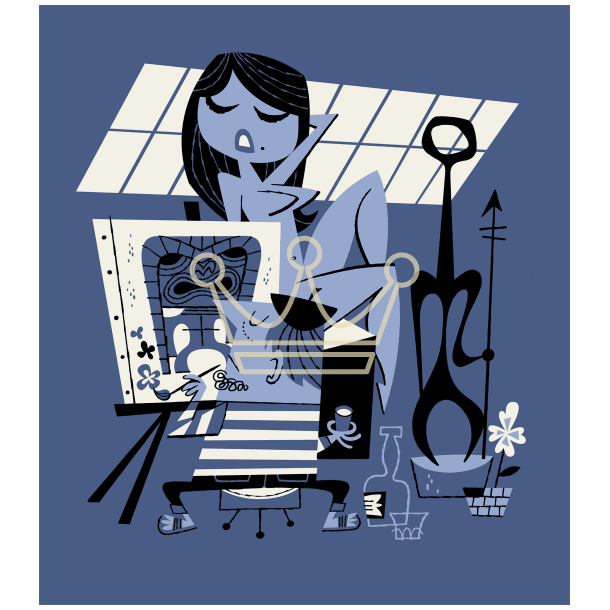 This collectable three color silk screened serigraph is printed on heavyweight archival paper and measures 11.5" x 13" all signed and numbered by the artist in a limited edition of 60.